This morning’s reader feature was submitted by Rosa, who shared her Handmade Christmas Stars. 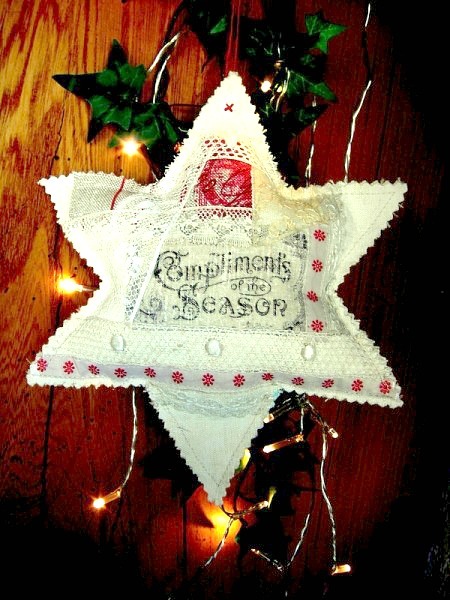 Using linen fabric, she pieced together a star, filled it with some stuffing, and sewed it up. Then, she added some lace and ribbon embellishments. 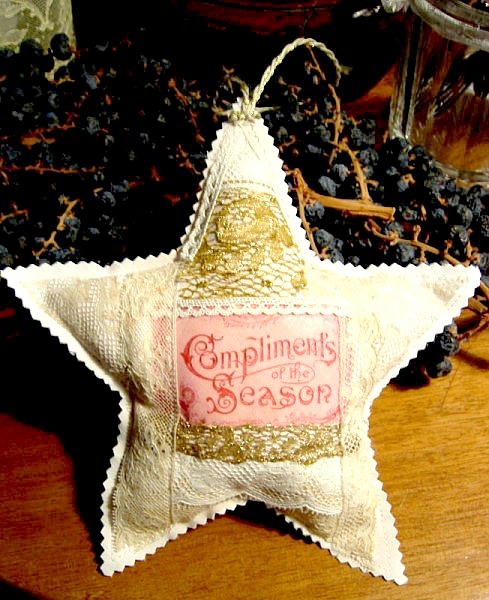 Lastly, she transferred the Compliments of the Season graphic to the center of her stars. Rosa did a great job with these Handmade Christmas Stars! Thank you for sharing, Rosa! 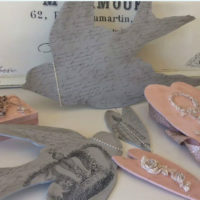 To see Rosa’s projects, visit her Etsy store. To learn how to transfer images yourself, visit the Transfer Methods Page. « Vintage Christmas Roses Image! 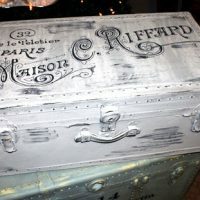 These are so pretty..Love the shabby and vintage look!